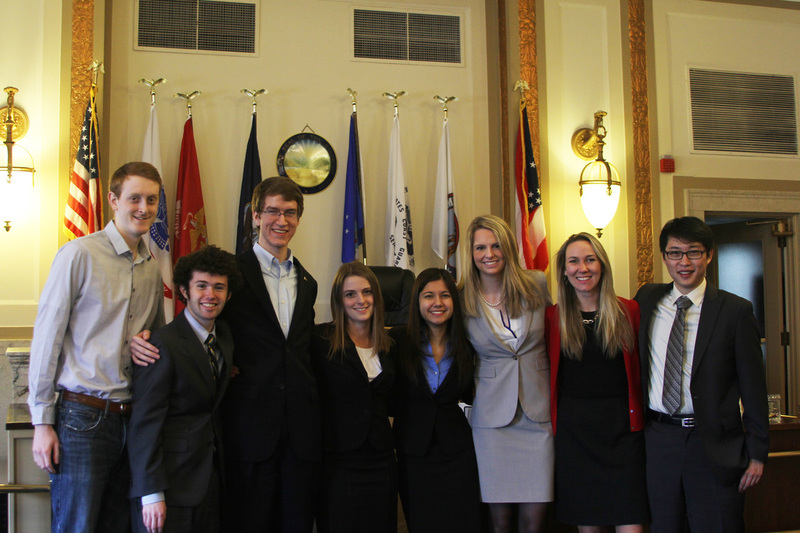 The mock trial season starts with over 650 registered teams. 196 advance out of regionals. Only 48 advance to the National Championship Tournament. UWMT just finished in Second Place at that tournament. This year's competition--featuring a dozen former national champion squads--took place in Cincinnati, Ohio. Normally, this competition provides teams with a chance to perfect the material they have been working with all season. But, this year for the first time ever, a new case was developed specifically for this tournament. Each school had less than four weeks to prepare both sides of this case, including directs, crosses, and speeches. The UW mockers each put in around 100 hours of work to develop everything...and boy did it pay off! After starting with a fun scrimmage against Macalaster College, the Huskies opened the 31st NCT with a great showing against Howard University, the 1997 AMTA Champion. Up next, UWMT drew a tough battle with the reigning national champion: UCLA A. We took all three ballots and quickly rose to the top of the field. The third round was a strong test from Yale University. Unfortunately, Yale, who ultimately won the division, took the round. But the mockers would not be deterred. 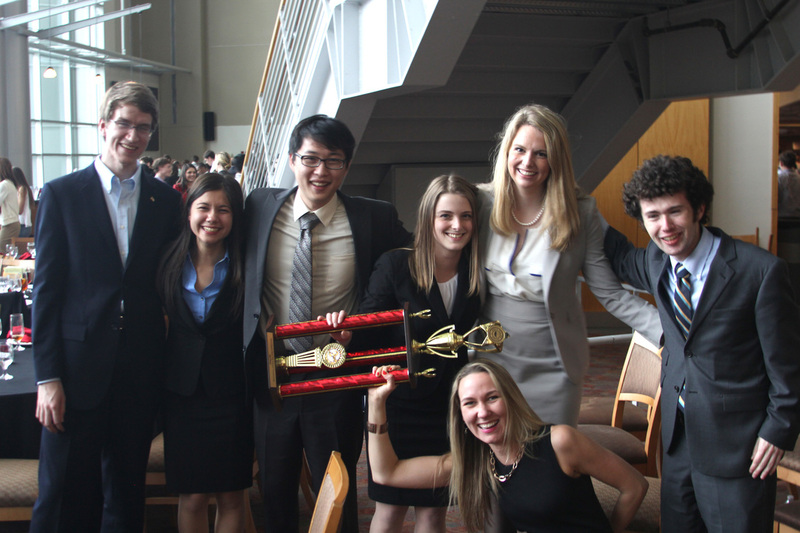 In the fourth and final round, the Huskies faced off against University of Chicago and executed a great round. At the closing ceremonies, the Dawgs were recognized with the Second Place trophy in the division! In all, they won eight out of twelve possible ballots, and beat two teams with the same record due to a strength of schedule tiebreaker. 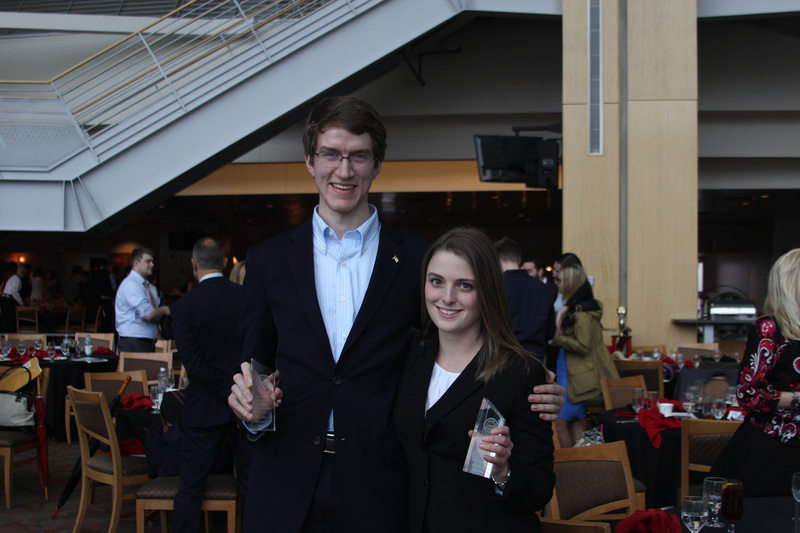 What's more, two UW competitors were recognized for their terrific individual performances. Sophomore Lucas Heflin, historically an attorney with the program, garnered 25 ranks as the defendant to earn a coveted All-American Witness honor. Sara Leonetti, who completed her four-year UWMT campaign with this performance, made AMTA history as the first competitor ever to earn a perfect 30 ranks at the National Championship Tournament. She'll remember her All-American Attorney performance for years to come. UWMT has existed for seven seasons. In that time we have gone to ORCS every year and competed at the National Championship Tournament four times, with two honorable mention finishes, and now, an incredible second-place result. While Sara will be missed, every other member of this team will be back for at least one year. We're just getting started!